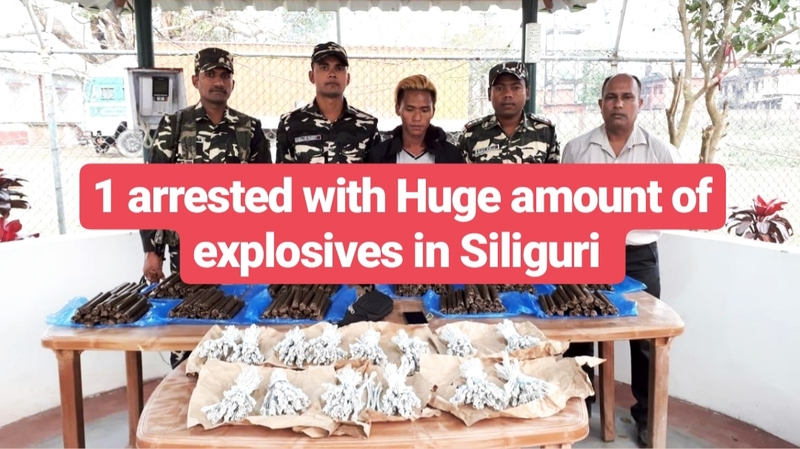 Sashastra Seema Bal (SSB) nabbed one person and seized large quantities of explosive materials from his possession on Saturday. The arrested accused was identified as 26-year-old Chiran Roka, a resident of Ruma village in Meghdi district of Nepal. As many as 205 packets of explosive gel, 355 electrical detonators, two mobile phones, and four SIM cards were recovered from his possession.